Lunches with Students start this week! Enter by pressing the buzzer at the front door. Check in with the office first. You MUST receive a ‘Visitor” badge. Meet your child in the cafeteria and find out where his/her class will be after lunch. Pick up your cafeteria tray/lunch items and any waste that may have dropped around your eating area and throw it away in the cafeteria. Drop your child off with his/her class. If you aren’t sure when your child’s lunch time starts, contact the teacher. Questions about Breakfast in the Classroom (BIC)? Thank you Southside Flying Pizza! 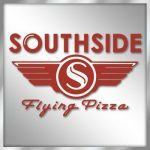 We would like to extend a big thank you to Southside Flying Pizza who very generously donated 50 pizzas for our Back to School night. Please give them a shout out and thank them and visit their store nearby on South Congress. Are there things about the THES you’ve been wondering about? The monthly Principal’s Coffee Chat is a great place to bring those thoughts and questions. The first Coffee Chat of the year is Friday, September 22 at 8am. There will be a presentation about Title I and what it means for our campus, a discussion about our campus goals, a chance for general questions and answers, and of course, COFFEE! ?? Stop on by and join the conversation. Save the Date Beautification Day: September 23, 9:00a.m.-2:00p.m. Bring your friends, family, and yard tools and join us a we spiff up THES campus grounds. This day is always a lot of fun and a great opportunity to get to know families at our school. Also FREE TACOS & COFFEE!  ?? Have you updated your subscriptions? I am subscribed to every grade level blog, the student blog and the wednesday efolder/announcement blog but, in this respect, most of you are probably more selective than I. I got notice this morning that there is a new third grade post on their site (they made brains from playdoh!) and it made me wonder if everyone has updated their subscriptions to reflect their new grade levels. If not, now is the time! You don’t want to miss out on the news in your child(ren)’s grade and the photojournalism team will be posting new articles soon and you definitely don’t want to miss out on that! Update your newsletter subscriptions here. Or you can click the “update your preferences” link in the footer of every newsletter email you get from THES. Be Sure to Read the Attachments! Check out this week’s attachments for additional information regarding Friday Assemblies, the THES Compact, and Flu Shots.